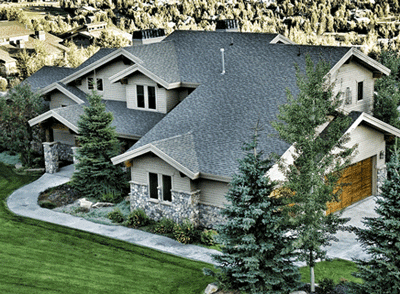 Is it Time to Replace Your Old Roofing System? To make the most of any home improvement project, making wise, informed decisions is key. This especially holds true for roof replacements. Before you hire a contractor, make sure that your roof really needs a replacement. Some patches here and there may suffice. As one of the most reliable roofing contractors in Michigan, Kroll Construction helps you determine whether your roofing problem is something you can fix, or it’s time to let your old roofing system go. Examine your roof’s appearance and look for telltale signs. Check for cracked caulk or rust spots on buckling, flashing, curling, or blistering shingles, as well as signs of wear around pipes, chimneys, and skylights. Inspect your gutters for grit from the tiles of your asphalt roof. These granules are what shield your roof from harmful ultraviolet rays. You don’t need to worry about black algae stains, however, as these are likely just cosmetic issues. Masses of moss and lichen, though, could signal decay. If your roof looks sound, some roofing mastic usually solves any leak problem. If it stemmed from something unforeseen like bad weather, enlist the services of Kroll Construction to address every problem. We are one of the few roofing companies in Michigan that exhausts all repair and restoration options before recommending a roof replacement. Sometimes, there is no better option but to let your old roof go. Reroofing depends on several factors, including the wear and age of the shingles and the climate in your area. Let Kroll Construction assess if your roof has reached the end of their lifespan. Once we find that roof replacement is your best option, we can provide you with an extensive range of roofing options to suit your home’s design and your budget. Let us help you assess the condition of your roof. Contact us at (888) 338-6340 or fill out our form for a free in-home consultation today.